According to Nielsen, 61% of the show's audience is African-American -- a figure that no other prime time show, new or old, even comes close to matching. For broadcast television, this is the Year of the African-American Viewer. What many of this season's biggest hits have in common is a huge following in black households. This is most pronounced with Fox's new musical drama "Empire," which has quickly become the No. 1 new series of the season in all the key demographics. 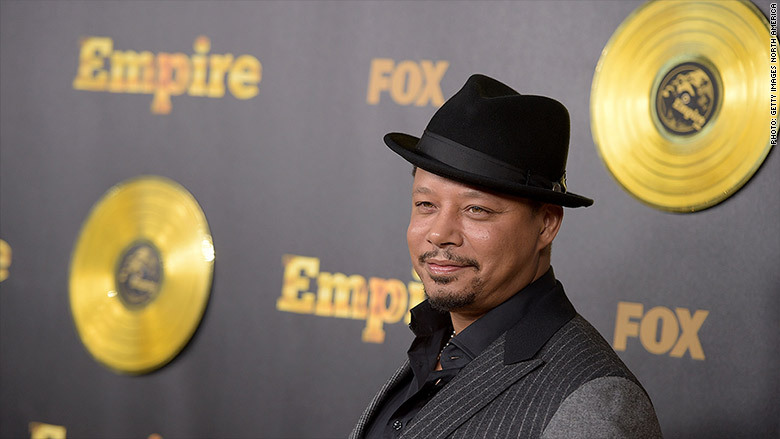 "Empire," starring Terrence Howard as a hip hop mogul, is just three weeks old; its fourth episode debuts on Wednesday night. But already, like many of the gold records on its walls, it is a certified hit. The series actually climbed the ratings charts in its second and third weeks -- an exceptionally rare feat for network TV shows. After "Empire," the prime time network show with the second biggest following among African-Americans is ABC's "Scandal," co-created by Shonda Rhimes, 37% of its viewers are black. "Scandal" has been around for a few years. But the next two shows with the greatest proportion of African-American viewers are almost as new as "Empire:" "How To Get Away With Murder," debuted last fall and follows "Scandal" on Thursday nights, is third on the list, with 32% black viewers. And a new comedy on ABC, "Black-ish," is fourth on the list, with 24%. "Empire," "Murder" and "Black-ish" are widely regarded as 3 of the biggest successes of the 2014-2015 TV season. In a blog post on Wednesday, New York Magazine television reporter Joe Adalian pointed out another one of their common traits: "This season's two biggest drama hits ('Empire' and 'Murder') and the only new comedy success ('Black-ish') all feature nonwhite actors in leading roles." Adalian added, "It's hard to see how this fact doesn't further push execs and producers to diversify their casts." All three "have African-American creators, co-creators or executive producers," Mo Ryan of The Huffington Post added in a tweet. "I have longed for day we'd see more non-white TV creators," she wrote. "Success leads to imitation in the TV game. I hope that's the case here as well." Two other freshmen series, "Flash" and "Jane the Virgin" on the CW, also stand out for their relatively high proportions of African-American viewership -- 19% for each. According to the U.S. Census Bureau, blacks make up 13.2% of the total population. To some observers, this season's results demonstrate -- as if it still needed to be demonstrated -- that TV shows with diverse casts and story-lines will appeal to diverse audiences. "Murder," for instance, brought in big audiences this fall, breaking video-on-demand records. And "Black-ish" has become a pillar of ABC's successful Wednesday night comedy lineup. In an interview with Vanity Fair, director Lee Daniels, who has been behind acclaimed films like "Precious" before creating "Empire" for Fox, said that he couldn't believe that one television show could reach more people than all of his films combined. Yet "Empire" has proved this to be true. "I've always been that 'film guy' who looked down on television," Daniels told Vanity Fair. "Not anymore."